Happy April 1st to all! 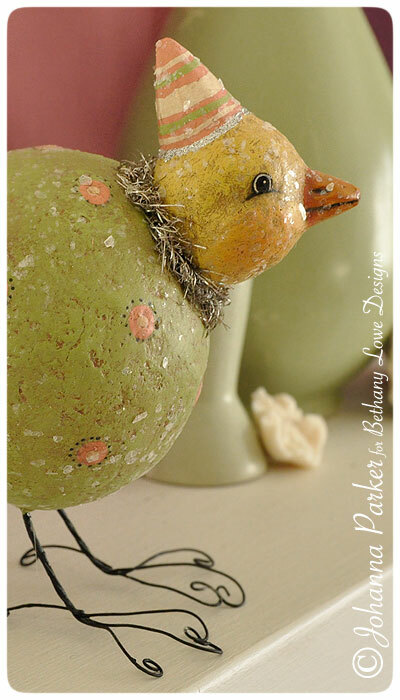 The sun is shining and little hints of spring are emerging outdoors. More and more of our feathered friends have been appearing at our feeder as the days warm, and it's always a joy to see them return. Indoors as well, the birds are getting all the attention! 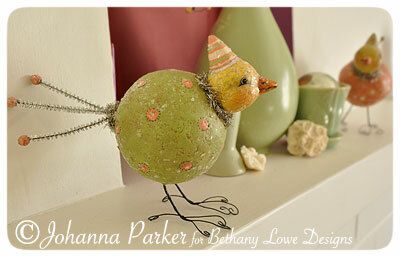 In the spirit of spring, I decorated my mantel with a pair of my spring standing birds which I designed for Bethany Lowe. They are new this year, and I really love how sweet they are. The only bummer is that they sold out in January, so I am uncertain where they can be purchased, or if they can be found at this time. It seems only a handful were produced, but I have a feeling that they will be making a come back next year. So, please tell your favorite online vendor or shopkeeper that you'd like to pre-order a set so we can get more of these little tweet-hearts in production! I appreciate it and the birds do too! I have my own pair because each designer gets a pair of complimentary samples, but I was too late in placing my spring order. They had ALL been snatched up to my surprise! * Sorry for the tease, but with your help I know they will be migrating back next year! 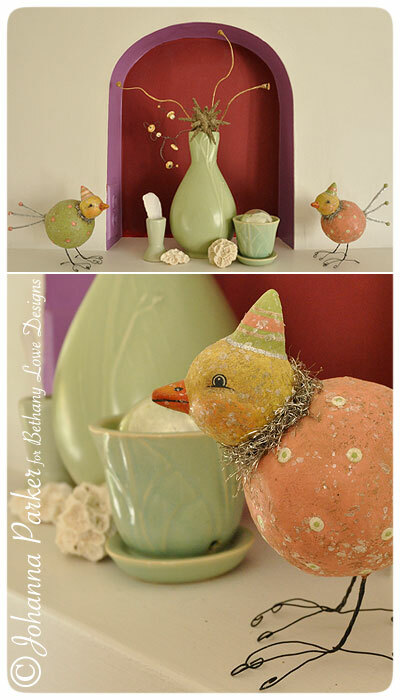 * A trio of my spring party hats add a festive flare to the scene!